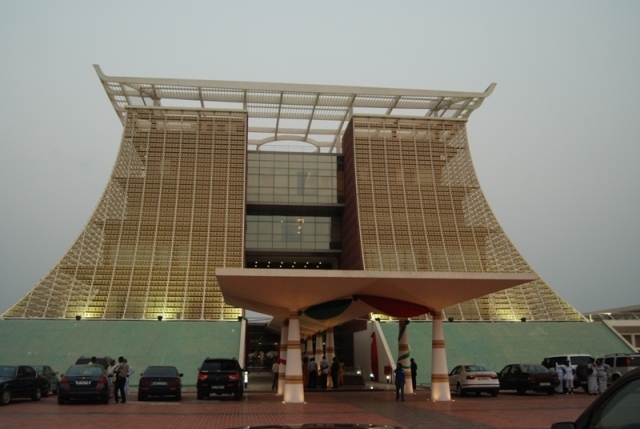 Have you ever been to the Flagstaff House, the seat of presidency of Ghana? I doubt you have ever had that experience but what will you do when your boss calls you unexpectedly and invites you for a programme which was going to take place at the presidency? Of course, I know you. I know you will hardly give it any thought. You will immediately jump at the idea without even finding the aim of the programme you are attending. “Promising you updates from my Flagstaff House Visit.” You will put on Twitter and on Instagram. You meet up with the rest of the group and you finally get to know the purpose of programme. The aim is, one of the richest people in Africa is launching a programme for the youth. “Who cares?” You will think to yourself. All you care about will be the fact that you get to enter the Flagstaff House and see the President of your homeland, this time not on television screen but in person. You know how you love to brag to your friends about being the first person to do anything. Your friends are already in trouble. They will not hear the end of it. At least for the next year. You are about entering the meeting room, where you will finally meet the President of your motherland. This is the icing on your cake, the main topic for your discussion tomorrow when you meet up with the girls:). A tap on your shoulder will suddenly jostle you from your day-dream and bring you back from cloud nine. “What?” You will ask with a slight frown on your face. “There are too many people in the meeting room, I am sorry we cannot accommodate any more of you.” The policeman will respond. You will be whisked away by the men in uniform and your dream of meeting with the president will forever remain a figment of your imagination. “What updates will I give to my Twitter followers and Facebook fans?” You will think to yourself.